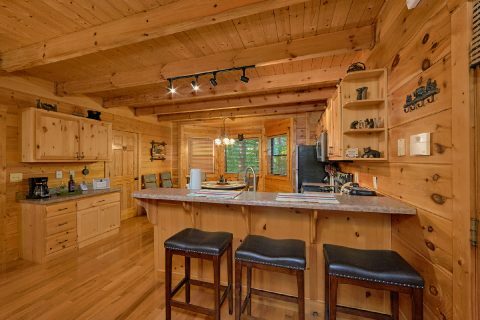 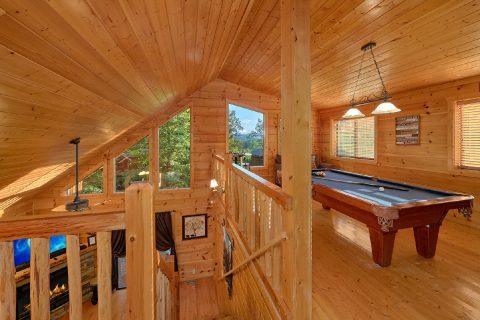 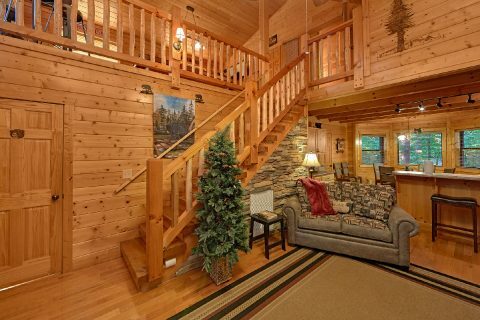 Looking for a log cabin in the Smokies that has a fire pit and a hot tub? 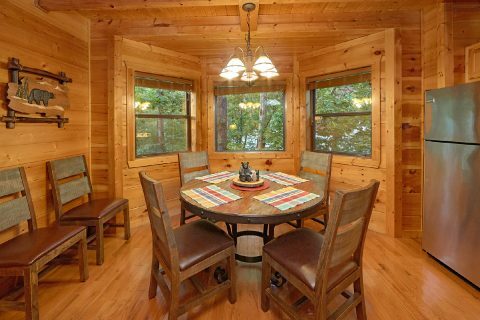 Look no further than "4 Paws," a comfortable 3 bedroom cabin with room for 6 guests in the Wears Valley area of the Smokies! 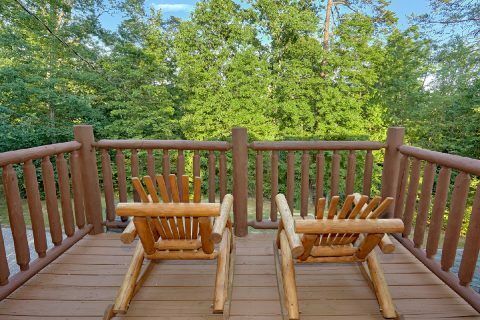 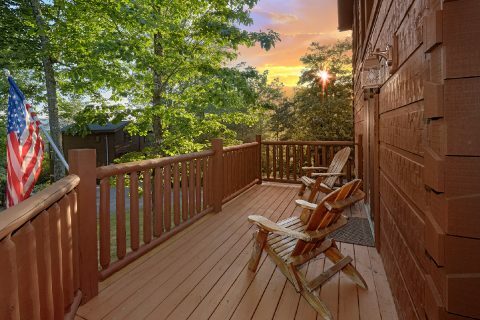 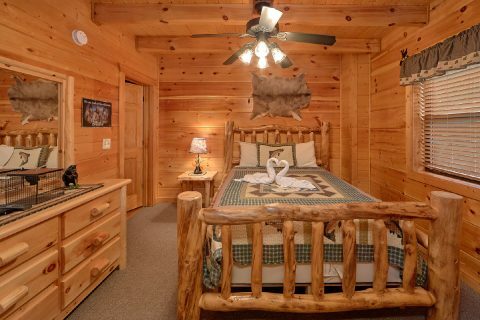 With a great location near Pigeon Forge, Gatlinburg, and the Great Smoky Mountains National Park, this log cabin offers guests a great place to stay that's only minutes away from the biggest sights in the mountains of Tennessee. 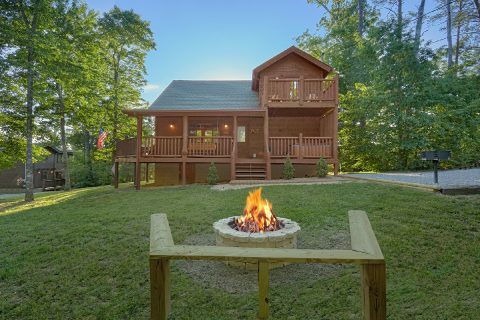 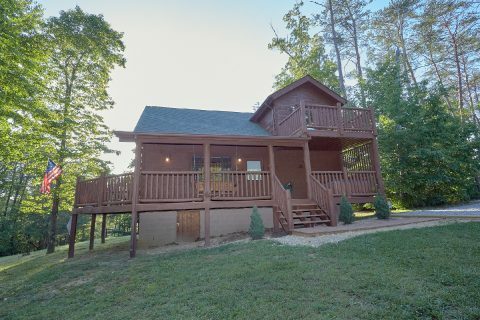 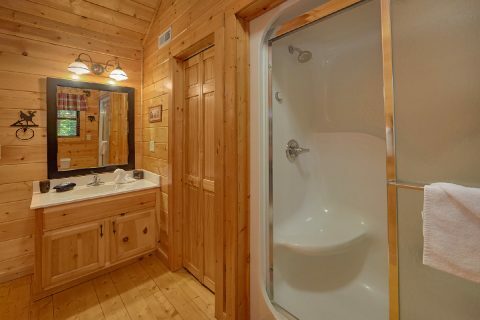 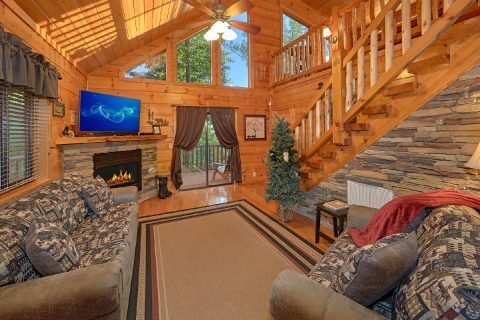 When you aren't busy hiking trails in the national park, having a blast at Dollywood, or exploring unique shops in Gatlinburg, you'll love unwinding at this cabin rental that offers everything you need to relax. 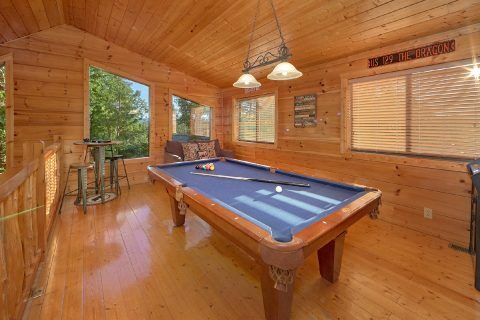 In the main living area, you can relax on comfortable furniture while you watch a movie on the flat-screen television above the gas fireplace's mantel. 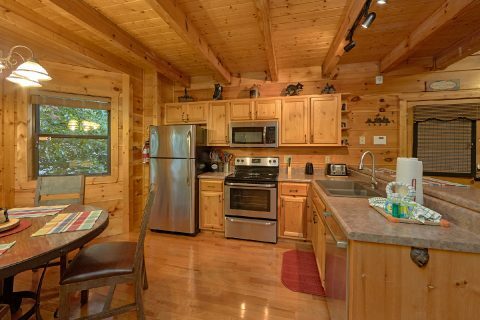 Nearby in the fully equipped kitchen, you can make delicious dinners to enjoy during your stay in the mountains. 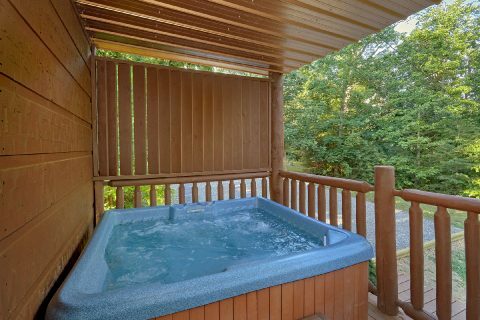 Outside on the deck, you can take a dip in the warm water's of your cabin's hot tub or just take in the forested views from a porch rocker. 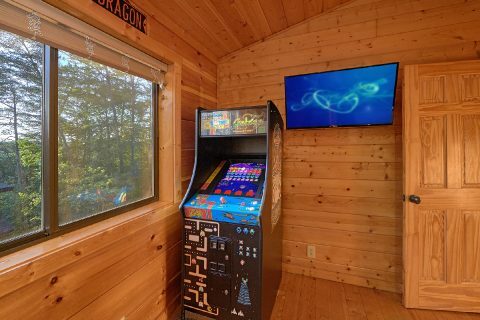 Upstairs, you can enjoy hours of entertainment in the game room that comes complete with a pool table, arcade game, and a pub table with board games. 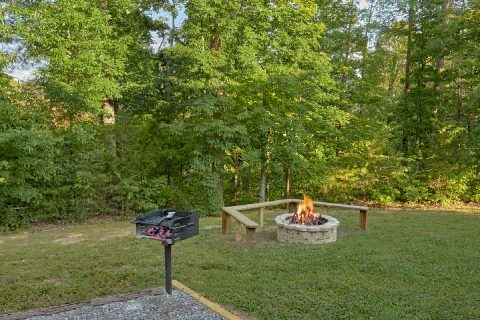 Or for some old-fashioned fun, everyone can gather outside by this cabin's fire pit to enjoy some story-telling underneath the Smoky Mountain night's sky. 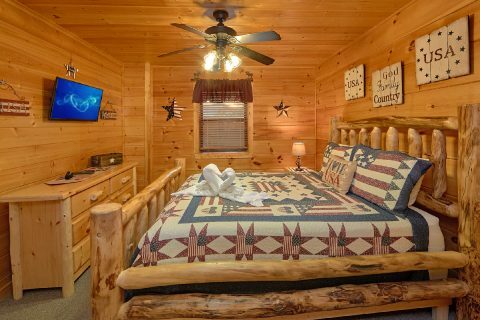 Once you're ready to get some rest before your next day's adventures, you can look forward to sleeping in one of this cabin's 3 private bedrooms. 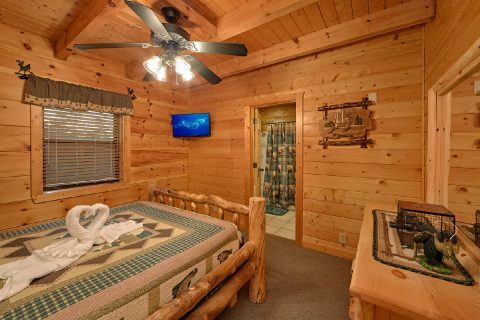 On the main level of your cabin, there are two queen-size bedrooms that offer cable television and DVD players. 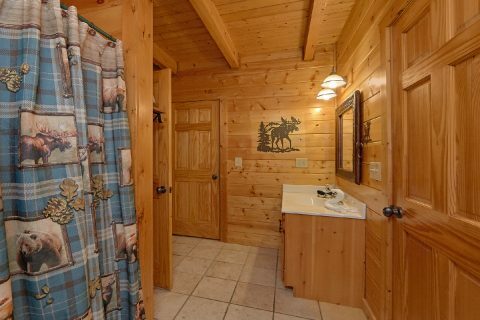 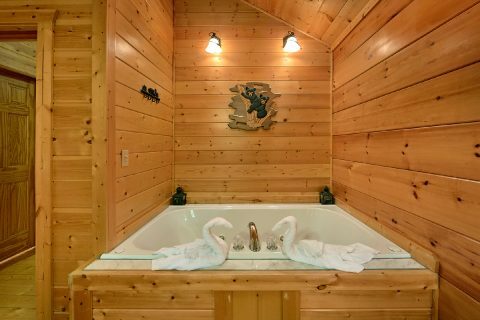 For the ultimate in cabin comfort, there's the romantic upstairs master suite that features a king-sized, log frame bed, a fireplace, television, jacuzzi tub, and a private bathroom with a steam shower. 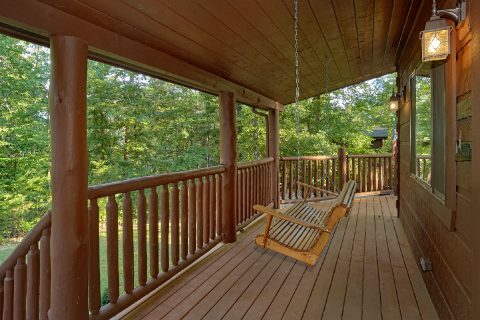 Lastly, this room offers access to a private deck with a view. 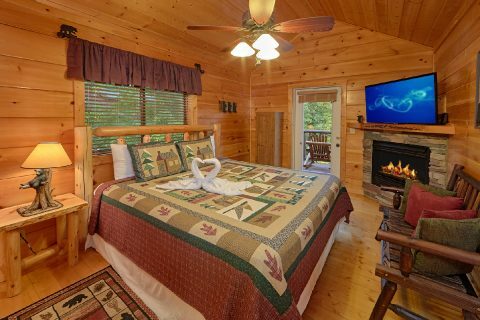 Reserve "4 Paws" with Cabins USA Gatlinburg to start planning an excellent getaway to the Smokies! 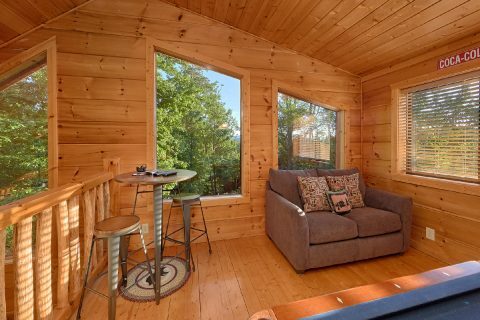 Book your rental today to save 15% with our special cabin discount!